Telangana EAMCET 2016 Notification is released by JNTU Hyderabad. Telangana EAMCET Notification TG EAMCT, TS EAMCET Notification, Telangana EAMCET Online Application, JNTUH TS EAMCET 2016 Notification and Telangana EAMCET 2016 Important Dates were released. Telangana EAMCET 2016 Notification is released by JNTU Hyderabad. JNTUH TS EAMCET 2016 Notification and Telangana EAMCET 2016 Important Dates were released. Engineering, Agriculture and Medical Common Entrance Test – 2016 (EAMCET – 2016) will be conducted by Jawaharlal Nehru Technological University Hyderabad (JNTUH) for entry into the first year of the following Under Graduate Professional courses offered for the academic year 2016-2017 in the University & Private unaided and affiliated Professional colleges in the State of Telangana. Telangana State and Andhra Pradesh State separately conducting the EAMCET 2015 in (2) States. At last Govt of AP also decided to conduct their AP EAMCET 2016 by Jawaharlal Nehru Technological University Kakinada. So now there is now confusion Telangana EAMCET 2016 and AP EAMCET 2016 will be conducted separately. Telangana EAMCET 2015 application Forms will be available from February 28, 2016. The last date for receipt of Telangana EAMCET 2015 TS application Form without fine is March 28, 2016. 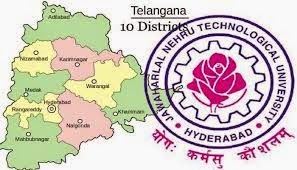 The exam will be held on May 2, 2016 by JNTU, Hyderabad. Candidates must apply online only. Check the details of the availability of the Telangana EAMCET 2016 application Form and other dates below. Telangana EAMCET Online Application and Telangana EAMCET 2016 Important Dates were provided below here. The Registration Fee / Late Fee may be paid at: i. Telangana Online Centers / Mee Seva centres / e-seva centers in A.P. OR ii. Through Payment Gateway (Credit Card / Debit Card).